I was shattered when I broke the waist buckle on my light weight trail pack. Without the waist strap the pack is loose making it more cumbersome on difficult terrain. 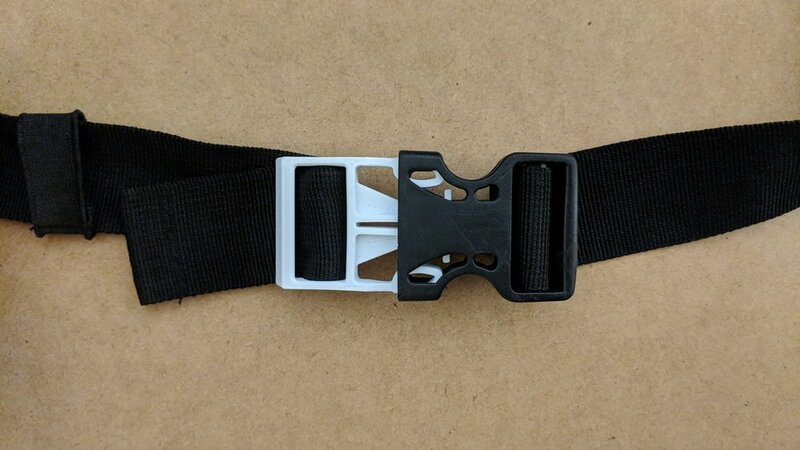 In order to retain full use of the bag, I modeled a replacement buckle in Fusion 360 which is 3D printable in one piece for maximum strength. By the third iteration the fit was perfect. This is another great example where 3D printing makes it possible to do in-home repairs. Watch the fitment video below to hear that satisfying click. I printed this in white esun PLA+ at 0.2mm. I’ll be testing it out over the summer to see how it holds up.